No burning gas, and no embarrassing yourself at stop lights. You might remember the self-balancing motorcycle Honda brought to CES earlier this year, but Big Red is apparently taking that idea to the next level. 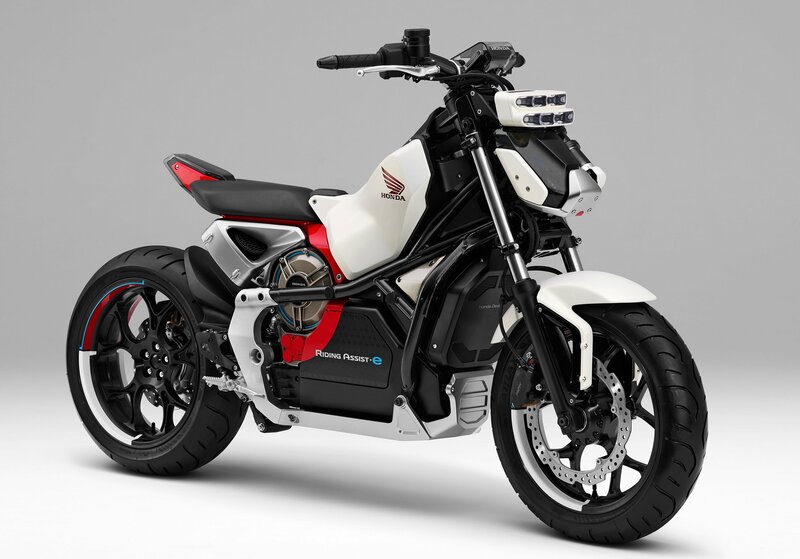 According to Motorcycle.com, the powersports giant has taken that same technology and applied it to a new all-electric concept. The original self-balancing Honda was called the Riding Assist; this new electric concept is the Riding Assist-e. Both concepts share a frame with the NC700 middleweight production bike. 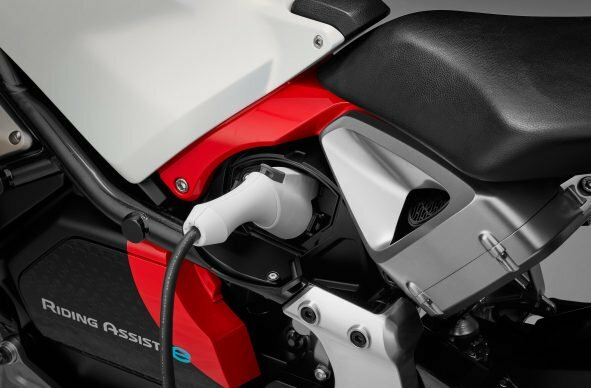 In the Honda Riding Assist-e, an electric motor is mounted under the seat with a drive shaft housed inside the swingarm sending power to the rear wheel. The charging port is under the seat on the left side of the bike and there’s a rear-facing radiator mounted behind the electric motor. The self-balancing technology was actually developed by Honda’s robotics division, not Honda Motorcycles. The bike can keep itself balanced at a stop or at low speeds without using gyroscopes. That doesn’t mean it’s impossible to fall on a Honda Riding Assist, but it means it can keep itself upright at a stop light without requiring you to put your feet down on the road. 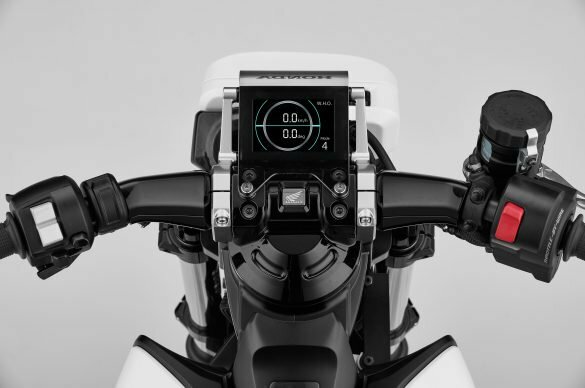 That’s about all we know so far about the Honda Riding Assist-e. For more details like range, power, and real-life availability, we’ll have to wait until the Tokyo Motor Show begins on October 25. Production is far from confirmed, but the fact that it’s based on a real motorcycle and looks somewhat production-ready are good signs. No helmet or leathers required in the Next 100 years. If it's even half as good as the ad says, this is an amazing bike. Rumors like a dual-clutch transmission and a trick new suspension are all but confirmed. 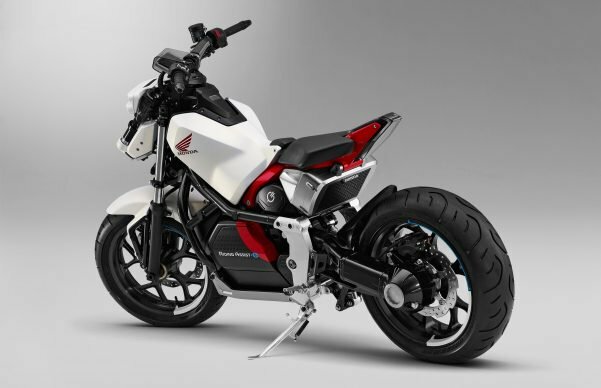 Check Out This Cool Honda CB150R We Can't Have in the U.S. This lightweight naked sportbike slotted above the Grom packs a lot of style, tech, and personality.